Riding flying taxis sounds fancy, but how will we avoid mid-air collisions? When the American aerospace company Bell Nexus unveiled an air taxi at the Consumer Electronics Show (CES) in Las Vegas this month it breathed new life into conversations about a future where ride sharing happens in the air rather than on the ground. 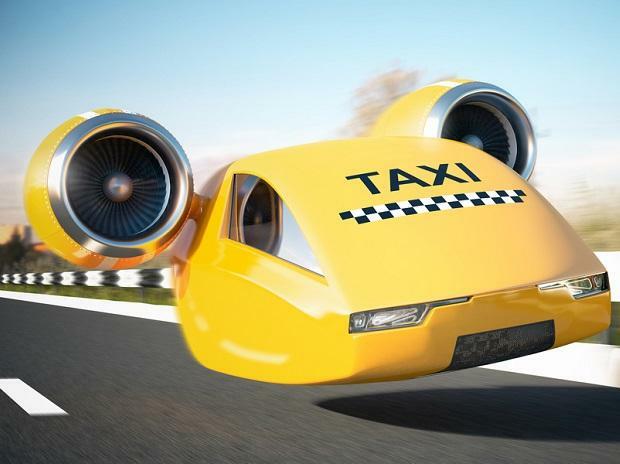 Recent comments to the ABC by Australia’s Civil Aviation Safety Authority (CASA) lent credence to the idea that we may see flying taxis operating in Australia within five years. It’s a bit like you can just go and charter a helicopter at Brisbane to go to the Sunshine Coast. That’s all they’re doing, but they’re doing it in an electric aircraft controlled by a traffic management system and they’re doing it a price point cheaper than you could hire a helicopter. It sounds easy, right? But there’s a big difference between a helicopter-style charter service and a fully operational fleet of flying taxis – whether they’re automated or piloted by humans. Five years is very optimistic. Here are seven questions we need to answer before we can turn that vision into a reality. 1. Where will we put all the landing pads? Concepts for air taxis come in many shapes and sizes. They might hold four passengers, or just one. They might have a single rotor or multiple. In any case, the size of the landing pad is likely to be similar to that required for a small helicopter. A small two-seater Hughes R22 requires a landing pad of at least 15 metres in diameter. It’s difficult to imagine large numbers of 15-metre-diameter landing pads in an urban environment, in close proximity to power lines and buildings. The cost of urban land area is already prohibitive. Presumably, the only available options in an urban landscape, if parks are exempt, are on the tops of buildings. Even then, unless the building is very large, construction of more than one or two taxi pads on any building seems unlikely, as well as costly. That means more than 50 to 100 landing pads in, for example, the Sydney CBD might not be feasible. 2. Who will get landing priority? Drone pads would need to be used sequentially. Even with a very efficient five-minute turnaround, a pad could only cope with, at most, 12 landings and takeoffs in an hour. So who decides which taxis get landing priority and controls usage? If the first to arrive has priority, how will popular destinations be served? For example, how will a large number of people all get to and from the cricket? 3. How can we ensure they’re safe? Existing helicopters fly safely enough, but they require the power of turbine or piston engines to lift the aircraft, pilot, fuel and payload. The cost of helicopters is currently prohibitive for the average user. So perhaps the tilt-rotor, quad-copter concept would be utilised, but even Bell Boeing has struggled to get high reliability for its V22 Osprey. Electric motors may be the solution. Developers are well on the way to creating suitable electric motors for rotary power to carry one person, as shown by the French Volta electric helicopter, but battery technology is a limiting factor. Ensuring the engine power system, electrical system and navigation system are reliable is crucial. The Washington Post identified 418 major drone accidents in US military operations worldwide in the 12 years up to 2013. Drones were destroyed or caused damage in around half these cases, with a total cost of more than $2 million. The civil aircraft approval system requires extensive testing to facilitate reliability and, in many cases, requires dual systems to cater for system failures. This will be a huge challenge for the manufacturers of flying taxis – and for CASA. 4. Where should air taxis be able to fly? According to CASA, piloted air taxis would be subject to existing CASA regulations, but automated air taxis, or drones, are a different story. Drones are currently limited to flying in airspace that is separate to that of manned aircraft. That means they can’t fly higher than 400 feet (122 metres) above ground level and they’re not permitted to operate near airports. These regulations are designed to reduce risks to airliners – some of which carry more than 500 people. But Sydney tower is about 1,000 feet high (305 metres), and many urban buildings exceed 400 feet (122 metres) in height. That means a set of modified height limitations will need to apply. Who will set these parameters? And how will drone taxis respond when emergency services require sole use of airspace? The Bell Nexus at CES. 5. How will we avoid mid-air collisions? Manned general aviation aircraft rely on “see and be seen” when flying at lower levels using visual flight rules. If we change the height restriction for drone taxis, how would they comply with “see and avoid”? Many drones now have obstacle collision avoidance, including airborne vehicle avoidance. The challenge will be to set protocols that will be consistently and safety applied by a number of drones all in close proximity. We need to establish a protocol for cases where drones taxis are on converging tracks with each other, or other light aircraft. For instance, should aircraft give way to the right, or to a climbing aircraft? If the risks of mid-air collision were to be mitigated by keeping drones away from major airports, that could mean limiting their use over the Sydney CBD, for example. 6. When should air taxis be grounded due to weather? Urban environments not only create physical obstructions for air taxis, but buildings can cause unpredictable wakes and eddies in any amount of wind. Convective clouds can also create thermal turbulence, along with hail, heavy rain and downdrafts (microbursts). Air taxis will need to be able to fly in bad weather conditions, otherwise their use will be severely limited. Who will decide if drones need to be grounded due to bad weather? Over what area and time periods should the grounding occur? 7. How should air taxis be regulated? Air taxis will need extensive regulatory oversight. Australia has a propensity for inventing new rules, so a large bureaucracy is likely to arise around this nascent industry. With a small number of potential users, it’s difficult to see costs of the bureaucracy being levied solely on the users and developers. Will taxpayers foot some of the bill? These questions – and many others – will need to be satisfactorily answered before a fully automated, safe and reliable fleet of air taxis becomes a reality. Whether or not we can overcome these hurdles, it’s likely that any system will be strongly limited in number. Flying taxis will therefore likely be very expensive to operate to cover developmental and operational costs. In my view, the combination of safety, operational, commercial and regulatory constraints renders the practicality of air taxis highly improbable for the next few decades.